Welcome to the ARCS Street Level Survival Tactics Training Area! First let me say congratulations on making the decision to take the safety of you and your loved ones to the next level. 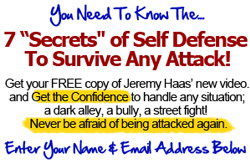 Please click on the banner below to start you free self defense training now.